If you are looking for someone to tell you that Swinton is not a delight on the big screen you need to move on. She is great at what she does, but again I don’t see why that greatness has seemingly brushed aside the fact that this would be whitewashing a person of colour. Having more women in movies, especially the male-dominated super hero genre, is 100% a good thing, but it shouldn’t be at the expense of a non-White role. The issue I’m seeing crop up again and again is people saying that this is progressive in every sense of the word. On top of the Ancient One being gender-swapped we have the added benefit of not perpetuating a number of very harmful and outdated tropes. At this point in comic book movies’ cinematic history, however, would this really be a continuation? Wouldn’t this actually be the beginning? Try to imagine the fictional character in your mind based on what you just read. What kind of face are you seeing? 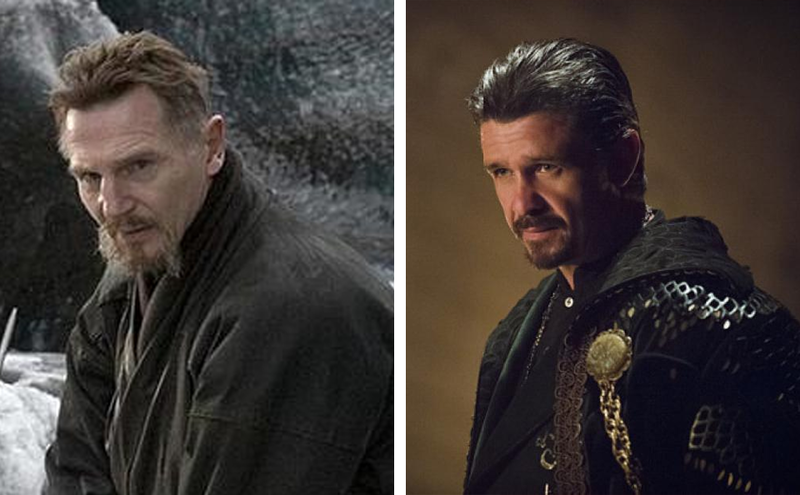 Does it look anything like Liam Neeson or Matthew Nable, the only two actors to portray the live action Ra’s Al Ghul to date? Both Neeson and Nable, as they appear in Batman Begins and Arrow respectively, serve similar roles as they train their respective protegees/eventual adversaries. They both play a part in a popular trope which goes as far back as 1930s character The Shadow, in which our young White hero travels to the East and learns various skills and abilities from a wise and venerable master. In order to dismantle that problematic narrative the master in question is now White in both cases, problem solved! Another trope is that of the “yellow peril” villain, one who represents all the nefarious mystery of the East. I covered in a blog post from 2012 how Marvel villain the Mandarin was seen as a “racist caricature” by filmmakers, a perpetuation of yet another outdated idea from the 1900s. In order to counteract this the role was given to half-British half-Indian actor Ben Kingsley, which completely removed the character from his Chinese roots. That’s the second trope that won’t attribute its survival to the silver screen. Great job, Hollywood! To be upfront I’m not particularly enamoured with either trope. I’m so, so tired of seeing White heroes learn eastern magic or martial arts, more often than not besting the Asian locals in whatever skill they pick up. You also won’t find me defending Asians being villainized as an invasive, “other” force like in the Red Dawn remake, a film that did vastly more harm than good, if it did the latter at all. Both of these stories are antiquated and should be steered away from, but why is this the way we’re choosing to do it? Yes, Swinton could absolutely be amazing as the Ancient One, that I won’t contest. What I do want to challenge is the idea that we can keep from preserving these harmful tropes by simply whitewashing everyone instead of tweaking the narrative itself. 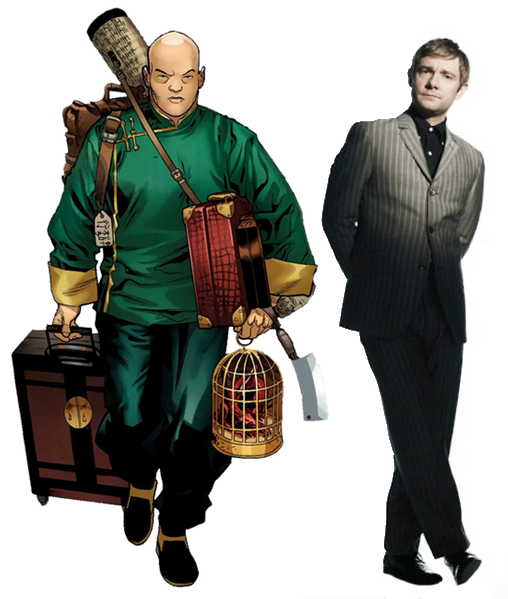 I mentioned Wong earlier, and the truth is that in the comics he acts as Doctor Strange’s manservant. Just reading that word is uncomfortable, let alone imagining a movie that features a non-White man waiting hand and foot on his White master. Does that mean we eliminate the character completely, or have him played by yet another White actor? Uncanny X-Men #15 (Vol. 3), written by Michael Bendis and illustrated by Kris Anka. I feel like I’ve said this a lot, but it all comes down to writing. Don’t want the Mandarin to come off as a gross racist caricature? Put him in a suit instead of flowing oriental robes, go light on the accent and make him villainous due to his motivations and not his country of origin. It never solely comes down to what the character was or even is, but how you personally choose to present that character. 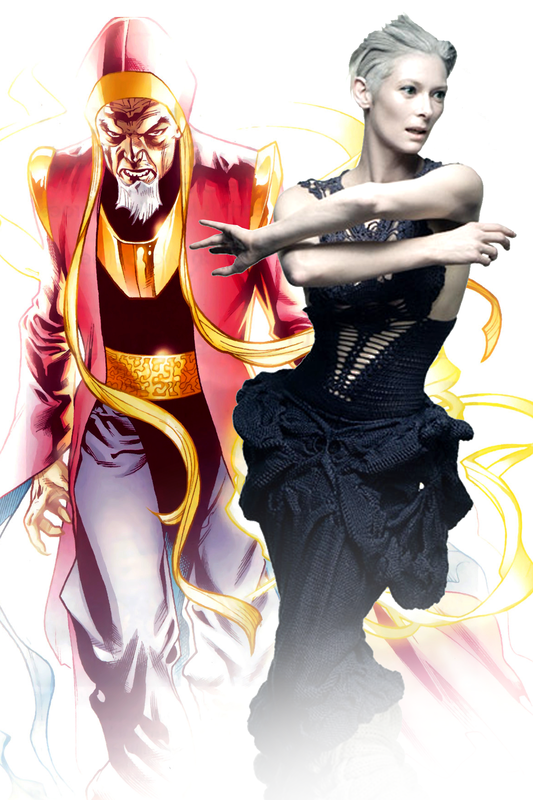 The Ancient One is trickier than Wong because they do still act as this person of otherworldly abilities, with those powers firmly tied to the East. That being said, with the way Ra’s Al Ghul has been treated, isn’t it time? If Thor can gain his powers from Odin then can’t an Asian person be a source of magical energies? The fact that the person they’re training in the mystic arts is White is still a bit of an issue, but again that can be amended [or worsened] by the writing. Given that Stephen Strange and Daniel Rand [star of the upcoming Iron Fist series on Netflix] both become heroes in such similar fashion may be another reason to change things up as much as possible. At this point in time Hollywood has sought to not offend Asian audiences by not casting Asian characters with ethnically appropriate talent, a practice that is somehow logical in its own twisted way. It’s also lazy in that writers have been choosing to eliminate that aspect of these men [and it’s only been men up to this point] instead of altering their stories and removing what specifically made them so problematic to begin with. Doctor Strange is a film that could have had two Asian stars in it, and still might. It remains to be seen how Marvel Studios will proceed given the tropes the character is built on and whether or not they’ll embrace every aspect of his origin wholeheartedly. This entry was posted in Asia, comics, film, race and tagged actor, Ancient One, Asia, asian, Benedict Cumberbatch, casting, Doctor Strange, film, Hollywood, Khan, Liam Neeson, Mandarin, manservant, Martin Freeman, Marvel, Matthew Nable, Ra's Al Ghul, race, racism, Star Trek into Darkness, Tibetan, Tilda Swinton, Trope, white, whitewashing, Wong, yellow peril, Your Fave Is Problematic. Bookmark the permalink. The whole point of my post was that it’s easier to dismantle racist or problematic tropes by simply making the characters White. What’s more difficult is to craft nuanced, multi-faceted roles for people of colour that don’t fall back on stereotypes, characters that are human beings and not just tropes. Saying “At least they didn’t choose a suckish actor” is merely the silver lining in what I view as an unfortunate decision and a missed opportunity. Like I said up above, the pedigree of talent is what so often offsets our condemning of choices like these. I think Swinton is fantastic, I just wish she wasn’t starring in a role that could have gone to a non-White man or woman. I lost track of the score. But I think its its…. .
All minorities combined: -4583490583458902345564577432…okay now I am just smashing the number pad on the keyboard! =p . I don’t understand how Hollywood can get away with racism because today. SO MANY journalists cover the topic. I have to wonder why there hasn’t been much change….Why do you think there hasn’t been much change? you can’t go a week without hearing about something racist hollywood did….